The child protection group, Save the Children, has just released a report stating that as many as five million children face starvation in Yemen due to food shortages and soaring prices. The reason for this crisis, which the U.N. has called the worst humanitarian crisis in the world, is going on for three years now in the war in Yemen between the Houthi ethnic group and a coalition of countries led by Saudi Arabia that includes the United States. U.S. has been providing the bombs, the planes and strategic and logistical support for this war. Last month, Saudi forces bombed a school bus, killing forty children, and Saudi Arabia called that attack legitimate. The Progressive Caucus in the U.S. Congress is trying to evoke the War Powers Act and war powers that they have to put an end to U.S. support for the war in Yemen. Let’s listen to Congresswoman Tulsi Gabbard introducing this resolution. TULSI GABBARD: Today in Yemen, our military continues to wage this interventionist war alongside Saudi Arabia unauthorized by Congress. The time for crocodile tears and baseless platitudes is over. Enough is enough. The U.S. must end its support for Saudi Arabia and stop waging interventionist wars that increase destruction, death and suffering around the world, drain our resources here at home and threaten our own national security. SHARMINI PERIES: Tulsi Gabbard is the United States representative for Hawaii’s 2nd Congressional District. She was also vice chair of the Democratic National Committee until 2016, but she resigned to endorse Senator Bernie Sanders in the 2016 Democratic primary. Important to note here that Representative Gabbard served a twelve-month tour of duty in Iraq in 2004, and she was a part of Hawaii’s National Guard. And in 2015, she was promoted to Major in the Hawaii’s National Guard. Today she serves on the House Armed Services Committee and she joins us today from Washington. TULSI GABBARD: Aloha, Sharmini, thank you. Wonderful to talk to you. SHARMINI PERIES: All right, Congresswoman. Let’s start with why we are engaged in this horrendous war and what Congress can do to stop it. TULSI GABBARD: Well, first of all, it is absolutely outrageous that the United States has continued its support for years now for Saudi Arabia’s genocidal war in Yemen that has killed thousands and thousands of innocent Yemeni people and caused mass starvation and suffering, a cholera epidemic, the worst humanitarian crisis in the world in Yemen, all turning a blind eye while continuing to refuel Saudi planes, provide them with intelligence and provide them with the bombs that they’re using to drop on Yemeni civilians. Congress has now for a very long time given up its responsibility to declare war. And this war in Yemen is a perfect example. So, I and a few of my colleagues are introducing a resolution that will take back our congressional authority and responsibility that’s given to us through the United States Constitution to stop this, our illegal participation in this Saudi-led genocidal war in Yemen. And our resolution would very simply and clearly reassert our congressional authority and remove U.S. military troops from any kind of support for Saudi Arabia’s atrocities in Yemen. SHARMINI PERIES: Congresswoman, you have managed to garner bipartisan support for this bill. One would think it would be easy to get it on the floor to debate, because it’s really about Congress taking back the power it has over war measures. And so, this is not just about Yemen, although Yemen is the critical question at hand. But why is it so difficult to get this on the floor to debate so that we can hear the different perspectives out there as to why they would not support it? TULSI GABBARD: Well, that’s really the point, Sharmini, is there has not been very many opportunities to really have a real debate. In order for Congress to exercise its constitutional authority, that provides that platform to make that determination of whether or not to declare war, whether or not to involve our troops in these wars. And that just hasn’t happened. Unfortunately, we saw several months ago when the Senate tried to pass a similar resolution, the administration came out very strongly against it and was actually asking senators to vote against that resolution so that the United States could continue to support Saudi Arabia in this genocidal war. We are seeing now in the House, we are trying to introduce this resolution, again, to end U.S. support for Saudi Arabia there and to force this debate. I think that’s really the point here, is to force this debate. We saw a news report come out just this morning that Secretary of State Pompeo basically made the decision to recertify the U.S. support for Saudi Arabia’s war in Yemen out of concern of losing a two-billion-dollar weapons deal with Saudi Arabia and the UAE jeopardizing our ability to sell more precision missiles to these countries that are dropping them on innocent civilians. So again, outrageous when we consider that people in Washington who have power are more concerned about making money than they are about the lives that are being lost, the people being killed and the people who are suffering as a result of this illegal war we’re waging in Yemen. SHARMINI PERIES: Congresswoman, Secretary of State has indicated that they have spoken with the Saudis and that the Trump administration is convinced that the Saudis are going to take appropriate measures to minimize damage to citizens in Yemen by improving their targeting, or they are also willing to include no strike zones, areas where they may not bomb. What do you make of these responses on the part of Secretary of State Pompeo? TULSI GABBARD: Sharmini, we’ve been hearing these arguments for years. Ever since the United States got involved to support Saudi Arabia in this war, we’ve been hearing two very different stories. One is the narrative that you have just shared that the United States is trying to help Saudi Arabia and minimize these civilian casualties and so on. And on the other hand, when Saudi Arabia drops a U.S. made precision missile on a bus filled with forty children in Yemen, the United States, this administration then says, “Oh, well we have nothing to do with their targeting, we have no input on their targeting.”. So, what’s the real answer here? How involved are they? Because it seems that their story changes when it serves their purpose. There are a few bottom line points here, is that the United States policy in Yemen supporting Saudi Arabia’s genocidal war has failed. We have not seen the Yemeni people moving closer to peace for all the years that we’ve been supporting this war. Quite the contrary. The humanitarian disaster facing the Yemeni people has worsened to be the worst in the world. And as this conflict continues to escalate, we are only seeing their suffering increase, which is why I and my colleagues are pushing very hard and strongly to draw the line to end the illegal US participation in this war and to stop our troops from supporting Saudi Arabia’s atrocities. SHARMINI PERIES: Congresswoman, you have now managed to get some senior ranking members of Congress to support this resolution, such as Bernie Sanders, Adam Smith, as well as of course yourself and Congressman Ro Khanna from California and many others who endorse and support this bill. So then, why is it so difficult for you to get the rest of the Democrats and Democratic Party behind this resolution? TULSI GABBARD: Well, we are urging them to join this effort and to take a stand for peace. I think that it’s important for people to be informed and aware, and I think more and more members of Congress are becoming aware of the consequences of the United States alliance with Saudi Arabia in this war and the devastating impact that it’s having on the Yemeni people. Ultimately though, it will be up to the leadership of the House to make that decision to bring this resolution to the floor. Now, this resolution that we are introducing is a privileged resolution which will essentially provide the procedural mechanism to force a vote on the House floor in case the House leadership decides not to bring it to the floor themselves. So, our hope and our goal is to be able to force this debate, to force members of Congress to take a position on the record, to fulfill our constitutional responsibility and actually make a decision on this, and to stop our U.S. troops from supporting Saudi Arabia, to stop our money flowing into Saudi Arabia. SHARMINI PERIES: Congresswoman, you very eloquently nailed it when you said the interest of arms sales to Saudi Arabia is determining what we do there in terms of our policy in this horrible war in Yemen. But the Trump administration has very close ties to the Saudis. Tell us a little bit more about what else is determining this decision. 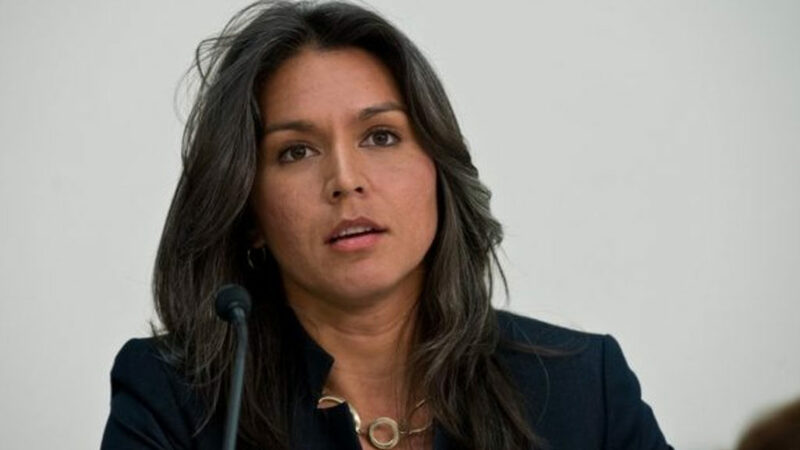 TULSI GABBARD: You know, this is where there is unfortunately a lot of hypocrisy, is that you have members of this administration and previous administrations, you have leaders in Congress who tout the necessity of the United States alliance with Saudi Arabia while turning a blind eye to the fact that they are the number one propagator of the Wahhabi Salafist ideology that is driving terrorist groups like al Qaeda and ISIS. And they are spending hundreds of millions, if not billions, of dollars spreading this ideology around the world and supporting these terrorist activities. So, you cannot say that on the one hand, Saudi Arabia is our great ally in counterterrorism while on the other hand, Saudi Arabia is the number one country that is fueling the ideology that’s driving these terrorist groups that exist around the world. So, we have to hold leaders accountable for the decisions that they’re making and the policies that they’re furthering and continue to push them on the hypocrisy of these positions, continue to push leaders in Congress to remove this support of Saudi Arabia, and to stop spending U.S. taxpayer dollars on fueling this humanitarian disaster in Yemen. 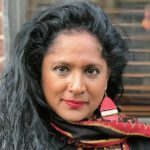 SHARMINI PERIES: Congresswoman, Lawrence Wilkerson, former Chief of Staff to the Secretary of State Colin Powell, has been on our network talking about the way in which the Trump administration is pulling out dusted plans that Bolton had had advising the former Bush administration, bringing those plans forward. First it was Iraq, then it was Syria, then Iran is next. And the rise of Saudi Arabia’s power in the region has a lot to do with being able to implement this plan from the former Bush administration. So, most people are anticipating that this Saudi-U.S. alliance will mean that the next thing will be the war with Iran. Do you think that is an accurate assessment? TULSI GABBARD: You know, there’s no question about how individuals like John Bolton in this Trump administration have long been wanting to start a war against Iran. There is no question we have to realize and recognize that this administration and leaders in the United States government are essentially taking sides in this generations-long Sunni-Shia sectarian conflict that we are seeing continuing to play out today in many of the countries that you’ve just stated, with countries like Saudi Arabia wanting to put extremist Sunni leaders into these different countries and use the United States and our military to continue to conduct these devastating and counterproductive regime change wars to benefit Saudi Arabia, not to benefit the people in these countries, not to benefit the United States. So, we have to be honest and real about what the real motives are here, and the fact that many of these regime change wars that have cost the American people trillions of dollars since 9/11 alone have not only made the lives of the people in those countries worse, have not only increased their suffering, but have proven to be counterproductive to the United States interests, both in the increasing and strengthening of terrorist groups like al Qaeda and ISIS, but also in the fact that by spending trillions of American taxpayer dollars on these wars, that means we do not have those resources to invest in rebuilding and strengthening our communities right here at home. Communities like mine in Hawaii that have dire infrastructure needs, communities like Flint in Michigan where kids and families and communities are continuing to be poisoned by their water source, and so many other things that we have in our country that are desperately needed. So again, we have to look at what the real cost of these wars are, who benefits from them, and make sure that our leaders are changing those policies so that we’re actually making decisions that serve the best interests of the people in our country. SHARMINI PERIES: Congresswoman Tulsi Gabbard, I thank you so much for joining us today and we hope to continue this conversation and keep the pressure on, as you do with the resolution in the House. I thank you so much for joining us today. TULSI GABBARD: Thank you, Sharmini, wonderful talking to you. SHARMINI PERIES: And you for joining us here on The Real News Network. Tulsi Gabbard is the United States Representative for Hawaii’s 2nd congressional district. She was also a vice-chair of the Democratic National Committee until February 28, 2016, when she resigned to endorse Senator Bernie Sanders in the 2016 Democratic Primary.